This old neon sign sits atop the Medina Garage. The garage property is boarded up with a "SOLD" sign hanging in the window. I wonder if the sign will be saved? The sign was restored and is now sitting on the Pima Community College Downtown Campus along Drachman Street. 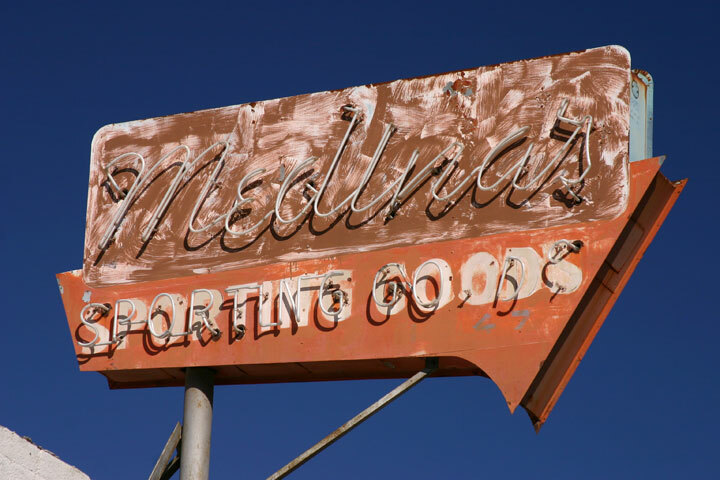 Just learned that the building (Medina's) is slated to come down and the owner is in talks with a friend of mine to obtain the sign. Sad to see it go, but know that if my friend does get it, it will be in good hands.